When a clinician was inspired by her patient’s very positive reaction to an anti-inflammatory diet, she decided to run a clinical trial of the Autoimmune Protocol Diet with other sufferers of Inflammatory Bowel Disease (or IBD, including both Crohn’s Disease and ulcerative colitis). While the sample size is small, and more research could always be done on the affect of diet on chronic illness, the results from this trial are absolutely incredible. I hope this initial mini-study will inspire folks who suffer from chronic, autoimmune illnesses to take control of their health and seriously consider the importance of food in both the severity and progression of chronic disease. Fifteen IBD patients completed a trial with the full Autoimmune Protocol Diet (a few dropped out of the study because dietary change is hard). On average, these people were seriously ill with Crohn’s and ulcerative colitis symptoms for almost 20 years. Seven of these participants were already on immunosuppressive medication because of how severe their symptoms were. 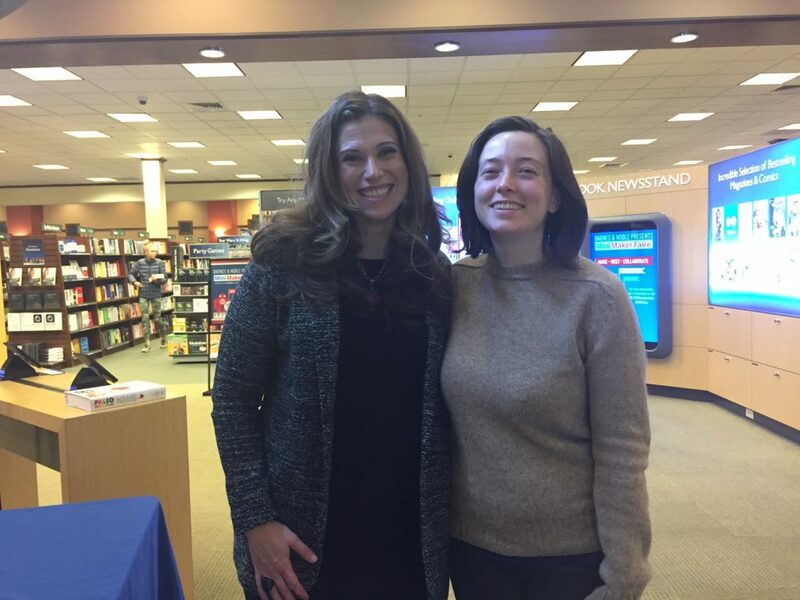 Dr. Sarah Ballantyne and I at her book release event! As defined by Dr. Sarah Ballantyne of thepaleomom.com, the Autoimmune Protocol Diet focuses on both inclusions of nutrient dense foods, and exclusion of foods that are inflammatory or can harm the gut (and therefore, harm the body’s normal immune function). While the Internet (and real life, if you’re paying attention) contains hundreds and thousands of “anecdotal” stories (mine included) of folks who’ve turned around their chronic illnesses using a similar diet, this is the first-ever “official” clinical trial to be done using this particular approach. I couldn’t be more thrilled. For the folks in the IBD study, 73% of participants achieved full clinical remission by 6 weeks, and remained in remission through the maintenance period. One participant who did not achieve full remission did note that their joint pain had resolved. For folks who were sick an average of two decades, seeing a nearly 75% remission rate in six weeks is mind blowing. My greatest hope is that this small clinical trial reaches the consciousness of many allopathic practitioners, so that they can truly educate patients about the alternatives and options for managing all kinds of chronic and autoimmune illnesses. 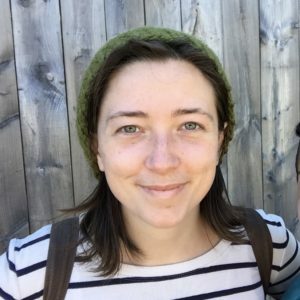 If you’re local to Boston (or want to meet online), and you’re curious about an herbalist’s approach to chronic autoimmune disease, you can reach out anytime for a consultation. This post has basically been years in the making. Like many folks, I’m constantly learning what works best for my body, and even that is a moving target over time. Things change, strategies get refined, new products are created, and bacteria get smarter and more resistant to antibiotics as time goes on. Many folks know all about cranberry for its urinary tract supporting affects, but I hope to go in with some more depth today. As some folks know, I have a chronic kidney condition that informs much of the work I do. Heck – it’s what made me want to become an herbalist in the first place. From my intensive self-care practices between client births, daily herbal tea habit, and still frequent visits to doctors offices for lab works and check-ups, my membranous nephritis is never far from mind. In my experience, having kidney disease does not make me more susceptible to urinary tract infections. However, it does mean that if and when I show UTI symptoms, I may only have a day or two before the bacteria is able to spread to my kidneys. This creates a much more serious problem unless I take All The Precautions. There are many people who have other ongoing urinary issues – Interstitial Cystitis, “overactive bladder,” and chronic urinary tract infections are just a few examples. In any of these cases, I highly recommend looking into an individual’s medical history (including family members) and see if there could be a link with autoimmune conditions. While medical science separates autoimmune diseases by many diagnoses, making them seem increasingly “rare”, the mechanism of an overactive immune system that attacks it’s own body’s tissues remains the same. At least 7% of Americans have some form of autoimmune disease, and with high rates of mis-diagnoses, the number is likely even higher. For example, chronic kidney disease is almost nowhere to be found in my family history – but autoimmune diseases (multiple sclerosis, rheumatoid arthritis, lupus) are increasingly common, and that link is very important. With an autoimmune connection, I make no recommendation more strongly than researching the so-called Autoimmune Protocol, and identifying individual triggers. Poor digestion and chronic inflammation can lead to “leaky gut” and molecular mimicry. In terms of an overactive immune system, this means that leaked food proteins can potentially be a big factor in the severity of an autoimmune disease. The triggers I avoid include gluten (and all grains except rice), dairy products (casein), canola oil, soy, nightshades, refined sugars, coffee and getting less than 7 hours of sleep in a night. As a birth worker, I never know when I’m going to need to be up all night, so staying on top of everything that is within my control is absolutely necessary! It has been six years since I began to identify and cut out my allergens, developed a daily nettle infusion practice and slowly have seen my kidney inflammation drop to lower and lower levels. While I’m certainly not “cured” of the chronic stuff, I’m getting pretty good at avoiding flare-ups while coping with an unpredictable work schedule. The longer I meander down this path of improvement, the less severe my urinary tract infections are. Instead of needing to go to the emergency room within 24-48 hours, as I did 7-10 years ago, I now have a week or more to really fight off an infection herbally before it gets as deep as my kidneys and necessitates antibiotics. Proper alignment is a major factor in repeat UTIs. As Katy Bowman explains in her blog, Nutritious Movement, pelvic alignment is vital for keeping bacteria out of the upper parts of our urinary system. Humans used to walk long distances and have varied movements as we went about our lives. Now, we’re used to tucking our pelvises backwards while sitting in cars in traffic, at office desks, on couches. While this is only one part of the story, chronically mis-placing our urinary tracts can make certain folks more susceptible to urinary tract infections. Katy also has an excellent post about pregnancy-related balance here. As one of my mentors, Katja Swift, once told us in class (in so many words)- humans have always had urethras near their anuses. We can take all the precautions with wiping in specific directions we want, but that doesn’t change the fact that the problem really comes down to an imbalance of the wrong kinds of bacteria in the wrong kinds of places. It’s becoming more well known that humans are made of 90% bacteria. Yes, urinary tract infections are most often (but not always!) caused by Escherichia coli. Another major consideration is that the average American consumes 130 pounds of sugar per year. This is absolutely unique to this time in human history – we did not evolve to cope with that kind of calorically-dense, nutritiously-devoid stimulant load. Probiotics are important, but they’re also not the whole story. We need to avoid sugar and empty grain-based carbohydrates, especially when they’re triggers for flare-ups of a chronic condition. Homemade fermented food is a much more diverse source of happy balancing bacteria than any lab-created capsule (that needed to be shipped in a refrigerator truck, by the way). Many simple recipes for ferments are out there. Another simple way to “diversify” the bacteria in your urinary tract is to actually go out in nature. Katja has brilliantly called this “naked in the dirt,” and says she’s recommended it to many clients. Yes, it’s kind of seasonally-specific, depending on where you live. However – I was once able to fight off a urinary tract infection while swimming in my local turtle pond. I was feeling a urinary tract infection come on, so I went to my doctor to have a urine test. The test came back without a high enough concentration of bacteria to confirm that I needed antibiotics. The count needed is in excess of 100,000, and with my sensitive system I was capable of feeling symptoms with a bacteria count of only 10,000 or so. As the week progressed, I’d guzzled tons of unsweetened cranberry juice and floated my way through the nearby spring-fed pond. I was still feeling symptomatic, and decided to get tested again. The results? “1,000 colony forming units per ml. MIXED FLORA (3 OR MORE COLONY TYPES).” Having multiple mixed colonies of bacteria present gave my body a leg-up when trying to flush out the E. Coli and I ended up not needing those antibiotics, after all. Your own experience with diet, chronic illness, stress, movement and lifestyle all have a big impact on your body’s own “host defense” in fighting off any infection, including urinary tract infections. Dandelion leaf (Taraxacum off.) is my favorite diuretic herb of all time. It grows abundantly, costs next to nothing, and simply just works. Part of the mechanism of beating a urinary tract infection without antibiotics is physically flushing it out of your system. Staying hydrated is incredibly important, but when your hydration consists of not just water but a dandelion infusion (tea), it also contains vitamins C and B6, thiamin, riboflavin, calcium, iron, potassium and manganese. Other nutrients present in dandelion leaves include folate, magnesium, phosphorus, and copper. The beauty of diuretic herbs is that they support the urinary system, and help the body avoid excess water retention while simultaneously repleting minerals, rather than depleting them (as pharmaceuticals do). Folks who have a sensitivity or allergy to Asteraceae plants, including chamomile, should proceed with caution. Goldenrod leaf (Solidago canadensis – but your local variety of Goldenrod should do) is also a member of the Aster family. Its yellow flowers bloom in late summer to early fall, causing it to inaccurately be blamed for ragweed allergies. To the contrary, this diuretic plant actually helps relieve seasonal allergies, and can also relieve urinary tract infections. It is a more gentle diuretic than Dandelion, and is known for being a friend of the kidneys. Daily infusions of Goldenrod leaf and flower can be an important part of an anti-UTI herbal plan. Nettle leaf (Urtica dioica) is my biggest herbal ally for living with chronic kidney disease. It is another nourishing diuretic herb, best served in a long infusion (think an 8 hour overnight tea). Nettle contains high amounts of calcium and iron (the longer you steep your tea, the more of these get extracted into the liquid), as well as magnesium and vitamins A and K. Nettle is great cooked fresh like any leafy green, but daily tea infusions are part of my years-long practice to nourish my body and kidneys in particular. Marshmallow root (Althaea off.) is best served as a cold infusion. I’ll often add a pinch of Marshmallow root to a long infusion of diuretic herbs. Because I regularly ingest tea like this, the Nettle, Dandelion, Goldenrod would dry me out unless balanced with mucilaginous moisture. Marshmallow root infusion also plays well with unsweetened cranberry juice, which can be intensely astringent to drink in quantity. This soothing, cooling herb can ease the physical discomfort of a urinary tract infection and is great to include in an herbal protocol. Kava Kava root (Piper methysticum) can be added to a cold infusion with Marshmallow. The famous anti-anxiety herb is also useful for urinary tract infections because it is mildly pain relieving. A little known urinary disinfectant, Kava works well with any of the above herbs as part of a UTI protocol. Generally speaking, I think it’s important to prioritize practicing with herbs that grow locally. However, when weighing the significance of avoiding antibiotics to my longer-term health, I’m willing to find alternatives that grow a bit farther away. Cranberry (Vaccinium macrocarpon) is a fairly well studied local-to-me berry. Like any dark berry, Cranberry contains the polyphenol proanthocyanidins. These proanthocyanidins have been shown to help flush out E coli specific urinary tract infections. While I’m a big advocate for using plants in their whole (or close to whole) form, an extract of a sugar in the Cranberry, D-mannose has been shown to be very effective when dealing with an E coli UTI. This study shows that for folks who get frequent urinary tract infections, using D-mannose extract before using antibiotics lead to an almost 4 times longer window before getting another UTI (200 days vs. 52.7 days). I have used this type of D-mannose, which is just a dissolvable powder that is fairly tasteless when mixed with water. All of the herbal preparations and products I mention here are water-based. Generally speaking, herbs work best when they can come in contact with the tissues being affected. For a urinary tract infection, herbs may be helpful because they’re astringent, analgesic, diuretic, or anti-bacterial, but they should be drunk as tea or used in a bath in order to reach the urinary tract. For deeper infections, or for folks who are prone to kidney problems, internal use of herbs (and D-mannose) will be the most affective. For folks who get UTI symptoms often, consider lifestyle factors (such as diet, bacteria balance, or other chronic conditions that may be inherited), and a topical bath or steam may be affective. There are so many herbs that can potentially be used to fight a urinary tract infection. This is just an introduction to what works best for me, as someone who has chronic kidney inflammation and desperately wants to avoid antibiotics. If you’re curious to talk more and get an herbalist’s opinion about your specific situation, check out my herbal consultations page.